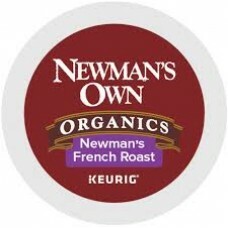 Newman's Own Organics® offers two exceptional varieties of coffee in K-Cup® Portion Packs, sourced and roasted by Green Mountain Coffee®. 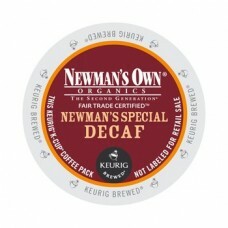 Newman's Special Blend Extra Bold and Newman's Special Decaf are Fair Trade CertifiedTM organic and 100% delicious. These coffees show what can happen when two companies with a shared vision of a better world get together. Coffee lovers get an extraordinary coffee experience and the chance to make a difference. Dark roasted for a chocolatey aroma, complex flavor, and a smooth, caramel ..
*NEW 12 COUNT BOX* A hearty, full-bodied blend of medium and dark roasts. 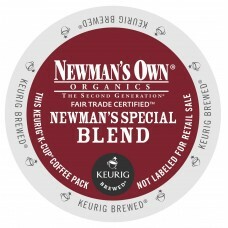 ..
*NEW 12 COUNT BOX* The same hearty, full-bodied blend of medium and dark r..